Welcome to the Slaggie Family Cancer Education Center page. Our goal is to empower patients and their supporters to become active partners in their health care by providing relevant information, increasing knowledge and learning from one another’s experiences. Follow the Cancer Education Center page and stay up-to-date as we post accurate and timely cancer-related information on topics such as cancer prevention, risks, treatments, clinical trials, end-of-life care, and survivorship. No matter where you are in your journey, we are here to help. If you could help bring positive change to the world, would you? If you could help improve the quality of life for cancer patients, help in the discovery of successful cancer treatments or help eradicate the dreaded disease of cancer, would you seize the opportunity? What would it take to reach the goals of preventing, successfully treating or eradicating cancer? Volunteering to participate in cancer research just might be the answer. 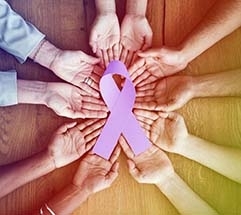 Each May, National Cancer Research Month is celebrated. To honor this designation, let us share more information on clinical research and how your participation can have a large impact. Clinical research involves people who volunteer to participate in studies that lead to better ways to prevent, diagnose, treat and understand health conditions, such as cancer. What are the types of clinical research? Prevention Studies look at ways to stop diseases from occurring. Options may include: medicines, vaccines, or lifestyle changes. Screening Studies test for better ways to detect certain diseases or health conditions. Diagnostic Studies look for better tests or procedures for diagnosing a disease or condition. Treatment Studies test new therapies, combinations of drugs, new approaches to surgeries, or use of integrative medicine. 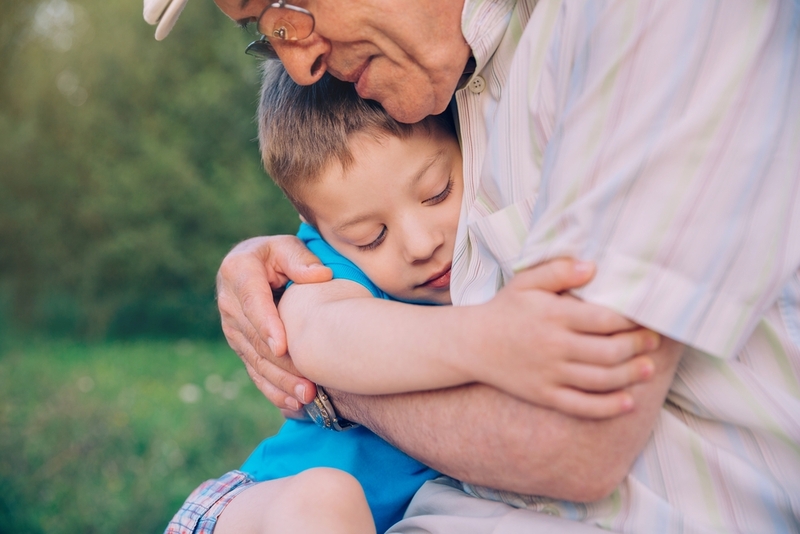 Genetic Studies look at what you inherit from your family and may be independent or part of other types of research. Quality of Life Studies explore ways to improve comfort levels and manage symptoms of chronic illness or side effects of treatment. Medical Record Studies review information from large groups of people to better understand, detect, control and treat health-related conditions. A clinical trial is a research study created to answer specific questions about new therapies or new ways of using known treatments. Clinical trials are used to determine whether new drugs or treatments are both safe and effective. Clinical trials take place in phases. For a treatment to become what is known as standard, it must first go through 2 or 3 clinical trial phases. What about ethics and safety? All clinical research conducted at Mayo Clinic is reviewed and approved by Mayo Clinic’s Institutional Review Board (IRB). Other groups, such as specialized committees and colleagues, may also provide review of the research. Federal rules ensure clinical research is done in a safe and ethical manner. Informed consent is the process of providing you with the key facts about a research study before you decide whether to participate. You may be asked to sign a consent form. The process of informed consent (providing additional information about the study) continues throughout the study. Your participation in research is voluntary and you may stop at any time. Consider your benefits, risks and inconveniences before enrolling; include your health care team in the decision-making. Benefits may include earlier access to new clinical approaches and regular attention from a research team. Risks of participation are different for each study and may include possible side effects. Inconveniences may include more required visits with the research team. Cancer-related inquiries: call the Mayo Clinic Cancer Center Clinical Trials Referral Office at 1-855-776-0015 (toll-free). Non-cancer related inquiries: call the Mayo Clinic Research Information Center at 1-800-664-4542 (toll-free). It is estimated less than five percent of adults diagnosed with cancer participate in clinical trials. Imagine if we could increase participation in studies so information could be learned sooner. We invite you to be part of the discovery and, in doing so, help improve the quality of life for cancer patients. Together we can work to avoid having our current generation and future generations be faced with such a dreaded disease. Liked by Jackie, Volunteer Mentor, Lisa Lucier, Connect Moderator, Megan Roessler M. Ed. Why is it that only less than 5% participate in clinical trials? Thank you for the excellent question. There may be a variety of reasons adult participation in clinical trials is low. -lack of awareness of clinical trial opportunities. Many patients may assume their doctor will talk with them about clinical trials when the "time is right". We encourage the patient and their families to mention interest in clinical trials to help start this type of conversation if your local doctor has not discussed clinical trials already. Clinical trial participation can be looked at during anytime in a patient's cancer journey. From the time a patient is newly diagnosed to the time all FDA approved treatment options have been exhausted, clinical trials may be an option to explore. -both physicians and patients may struggle to find clinical trial information. At Mayo Clinic, we have a universal phone number to call for assistance in locating clinical trial opportunities (1-855-776-0015). For assistance in located clinical trial opportunities around the United States, the American Cancer Society can be contacted at (1-800-227-2345) or for international assistance, the World Health Organization has a website, http://www.who.int/ictrp/en . Another option is to check with a disease specific organization to stay up-to-date on the latest research and resources. -increased amount of visits or long distance to travel to study site location making it seem impractical for a patient to participate. There may be travel assistance organizations which may be able to help with travel and lodging assistance. The American Cancer Society can be contacted at (800-227-2345) to learn more about programs through the airlines for people traveling for medical care, volunteer pilots, ground transportation and lodging assistance. These types of programs may make it more practical to participate if needing to travel far. -fear of getting a placebo (which is rarely used in cancer treatment trials). Placebos (inactive medication, “sugar pills”) are almost never used in cancer treatment trials. Placebos are used only when there isn’t a known approach (standard treatment). Patients are informed of this prior to participating. Hope this is helpful information. The clinical trial that I was involved with was the best thing I did for myself after being diagnosed with ovarian cancer. The staff at Mayo Clinic in Rochester, MN. could not have been more caring and professional. All my questions were answered in words I could understand. I was told by my gyn /oc that the trial was my best chance at survival. It is so important when considering participating in a study to make sure questions are answered along the way in language the participant is able to understand. Sometimes it may help to write down any questions someone may have regarding participation and share with the study staff. Study participation can be considered at any time in a cancer patient's journey. Send an email to invite people you know to join the Cancer Education Center page.